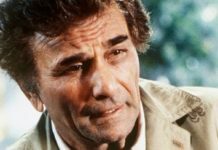 The Rockford Files is a private investigator television drama series that first ran on the NBC television network from 1974 to 1980. The extremely popular show also returned in 1994 as a series of movies on the CBS network. The show continues to run in syndication. The series is known mainly for the charm and charisma of its main actor James Garner, who starred as Jim Rockford, who drove a classic golden Pontiac Firebird. The show was one of the most popular and successful TV series ever made. It won five Emmys including Best Dramatic Series and Best Actor. 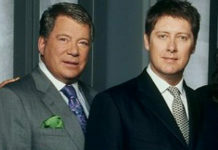 The show was created by Roy Huggins and Stephen J. Cannell. The television show was credited as a Public Arts / Roy Huggins Production in association with Cherokee Productions and Universal Studios which later became NBC Universal. Cherokee was the name of James Garner’s production company. 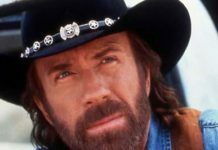 There is a long list of guest stars who joined the show. The shows memorable theme song was composed by Mike Post and Pete Carpenter. The Rockford Files TV theme song stayed on the radio charts for 44 weeks and even went to number 10 on the Billboard Hot 100. The TV show’s song won a Grammy Award for Best Instrumental Arrangement. The series ran for six seasons with a total of 122 episodes. Each episode is approximately 60 minutes long. All of the episodes are available to watch online via Amazon Video or via DVD. 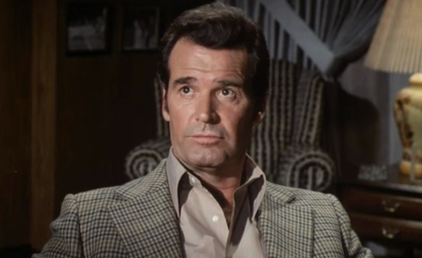 Season One – The first season includes 23 episodes, including an interview with James Garner. Season Two – The second season includes 22 episodes, the original series pilot, and more. Season Four – The fourth season set includes all 21 episodes and a bonus episode from the fifth season, which stars Tom Selleck in a role that became the foundation for the hit TV show Magnum P.I. 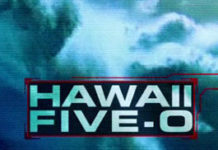 Season Five – Includes all episodes from the fifth season. 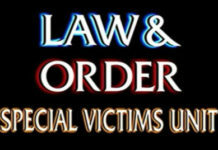 Season Six – Includes all shows from the sixth season. Thirty Years of The Rockford Files: An Inside Look at America’s Greatest Detective Series (Paperback) – This book provides the inside scoop on the TV series including: interviews with actor James Garner, commentary from the show’s producers, writers, and actors, interesting factoids, behind the scenes photos, and more. The series is produced by Roy, Higgins Public Arts Productions, Cherokee Productions, and Universal Television. The Executive Producers are Stephen J. Cannell and Meta Rosenberg. The series was distributed by MCA TV from 1979 to 1981 and subsequently by NBCUniversal Television Distribution. The series received numerous nominations for Primetime Emmy Awards, Golden Globe Awards, Writer’s Guild and more. The show won awards for five Primetime Emmy Awards and several others. The series ran for six seasons with a total of 122 episodes. Each episode is approximately 60 minutes longs. What do you think about the Rockford Files? Is it your favorite private investigator TV series? If not, post a comment below and let us know what is. Also, check out Police TV Crime Dramas and detective series.